Reward the winning department of a team competition to a fifteen-minute massage. After a stressful and demanding project, contract for a day of chair massage to show your appreciation for a job well done, or substitute a congratulations in the office newsletter after a strong fiscal quarter with a sign-up in the break room for a complimentary chair massage. From manufacturers to hospitals to auto dealerships, companies across the country are using seated massage services to make work less of a pain in the neck for employees. Chair massage provides hard-working employees with a convenient method of alleviating the stress inherent in these competitive times. Slouching at a desk for prolonged periods often results in lower back pain. Repetitive motion injuries, such as carpal tunnel syndrome, are common among office workers. A ten to twenty minute stress-buster massage relieves tension in neck, back, and shoulder muscles, reducing irritability and increasing productivity. fewer errors). At the end of the five-week study period, subjects reported reduced job stress and elevated moods. 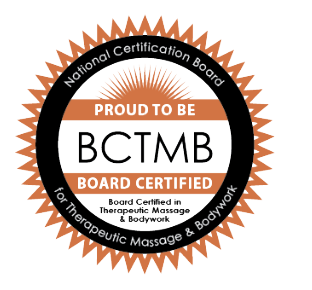 This was in addition to the usual benefits of massage, relief of muscular tension, revitalized energy, and a stronger immune system. The study’s findings are significant in that the International Labor Organization stated in its 1993 World Labor Report that job stress costs the U.S. economy $200 billion annually through diminished productivity, compensation claims, absenteeism, health insurance, and direct medical expenses. Chair massage utilizes Acupressure and Swedish massage to relieve tension. Though beginning at a slower pace, the work moves a little faster as the practitioner proceeds. The session ends with quick, revitalizing strokes in order to bring the client back to a state of full consciousness. session to be sure the client's alignment remains correct. people feel after a 15 minute session!